VITA SERIES ROADSHOW – COMING TO A LOCATION NEAR YOU! To celebrate the success of the Vita Series range of radiators launched by Stelrad late in 2014 across the UK, Stelrad is organising another Vita Series Roadshow starting mid November, running right through until June 2017! It’s a great opportunity for installers to meet their Stelrad Brand Specialist who will be operating in their area, introducing them to new and existing Stelrad Vita Series products and to services available to you all through your local merchant branches. The Vita Series is made up of twelve expertly selected ranges of radiators, offering value and design options to suit every budget and taste. It features simple and transparent pricing, using published trade prices so that installers can purchase the products and recommend the best quality solutions to their customers, at known, affordable prices. Stelrad was conscious that some installers and plumbers were persuaded by the lower quality products available to them online and via non-specialist outlets but now, with the Vita Series you can have a market leading Stelrad branded radiator at market leading prices. You can now choose the best in terms of quality and value. 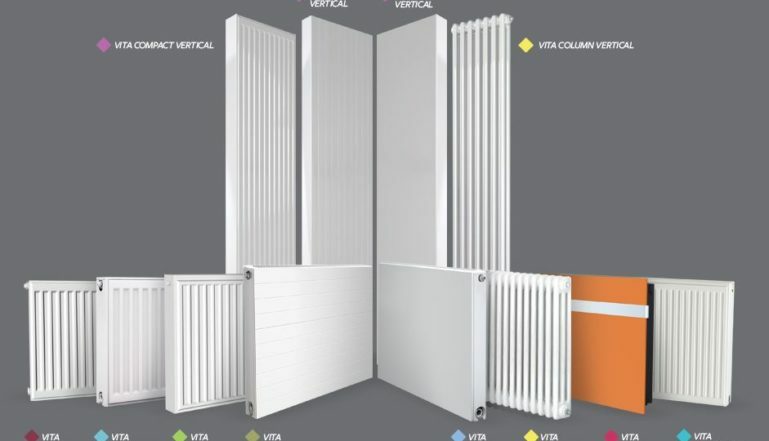 The Stelrad Vita Series comes in twelve selected ranges of radiators from the entry level Vita Value, through the Vita Compact, the Vita Eco for those wanting an energy saving option, Vita Deco for those wanting a designer radiator look, to Vita Plan – a flat faced, smooth fronted design and finally the designer look, Vita Ultra – with bespoke colour finishes available. With new products launched in 2016 within the Vita Series to now include Vertical options for Vita Compact, Vita Deco and Vita Plan to help complement any space. Vita Column in both horizontal and vertical options – perfect designs for both contemporary and traditional interiors to the Vita Compact K3 which provides a solution to homes needing additional heat from low energy systems.